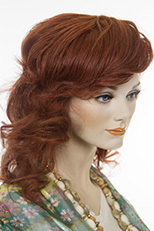 The rounded layers and medium length of this lightweight wig create a silhouette of classic femininity. 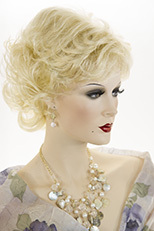 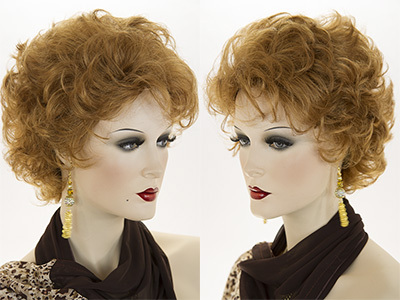 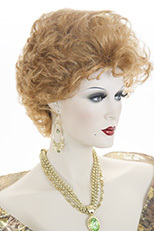 With O'solite construction, this wig is no-fuss glamour! 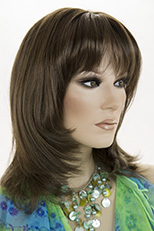 Gorgeous layers of the finest remy human hair offer unlimited styling, with the supreme comfort and appearance of a lace front and hand tied monofilament cap. 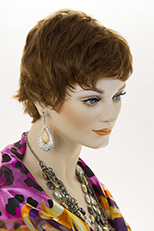 Teased for volume or shaken for casual chic, this short layered wig gives you power to change your look with Mono Top construction.